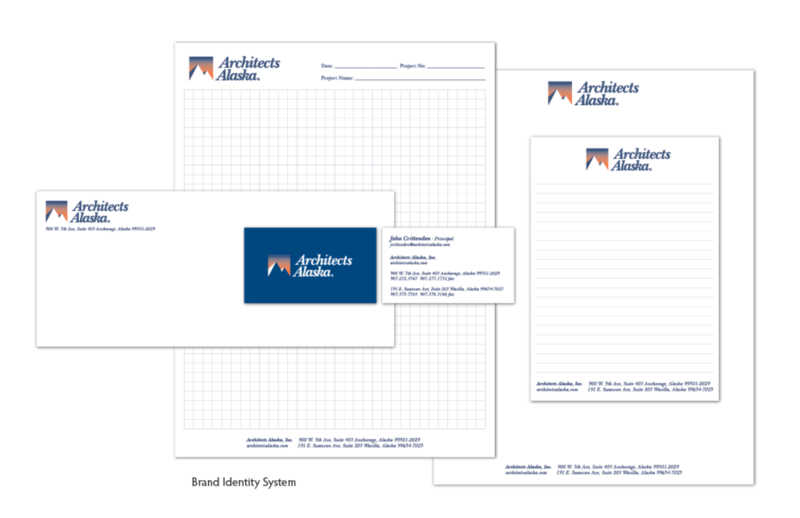 Architects Alaska brand identity - Red Carrot Design, Inc. 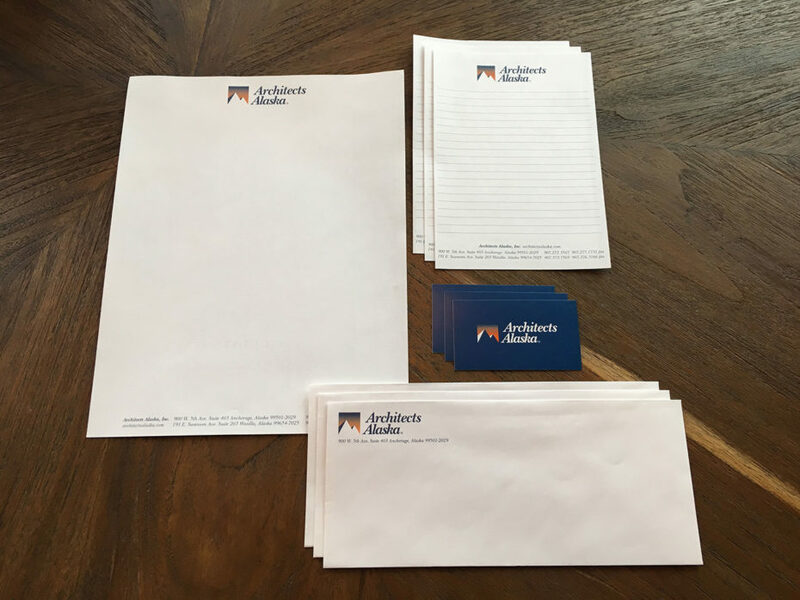 Brand Identity for Architects Alaska, Inc.
Architects Alaska is a fully staffed architectural design firm with offices in Anchorage, Wasilla, and Bozeman, Montana. The Problem/Issue: Outdated brand identity system. An informal brand audit and final analysis revealed two crucial issues. The AAI brand was not clearly defined. Employees were manually typing their logo into documents. This erratic usage created inconsistency and brand confusion with stakeholders. Our Solution: A brand report was developed and presented to the client. The report shared critical information about their stakeholders, brand perceptions and their competitors. The report also included a visual history of their company logo and new design concepts.